Our city is becoming more sustainable and resilient. We are developing an Electric Vehicle (EV) Strategy that will identify how we can make it easier for people to own an electric vehicle and will ultimately help reduce greenhouse gas emissions. Reducing greenhouse gas emissions is one of the City’s top priorities. Our transportation choices play a critical role in helping us achieve our goals. Walking, biking and taking transit are all ways to reduce our environmental impact. We know that cars will continue to be a part of Edmonton’s transportation system but we need to think about how we can shift away from fossil fuels and towards electrification. Electric vehicles are one way to limit our environmental impact from personal vehicles. "Once you transition to an EV, there is no going back... Would you give up your smart phone for a rotary wall phone?" See why an electric vehicle might be right for you. 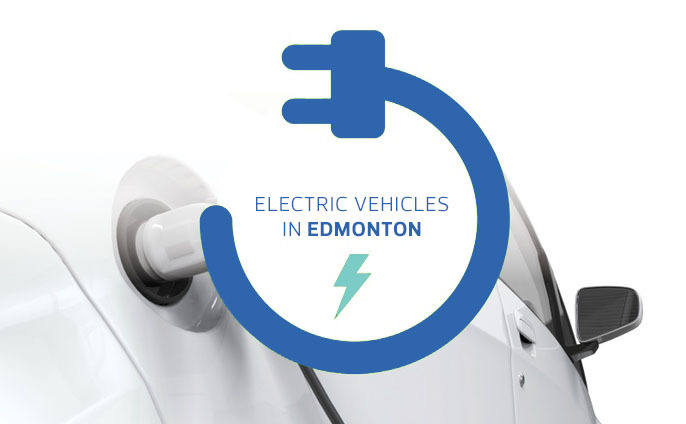 For more information, download Electric Vehicles in Edmonton. Transportation is responsible for 30% of Edmonton’s greenhouse gas (GHG) emissions and 42% of energy consumption. This is equal to all the energy used for residential and commercial buildings. Alberta is phasing out coal powered electricity and ushering in renewables. Greening our electricity grid means an electric vehicle in Alberta can only get greener over its lifetime! Even with Alberta’s current electricity grid EVs can reduce emissions compared to a gas car. Using electricity as a fuel source reduces our reliance on any single form of vehicle fuel. Electricity can be generated locally and in many ways including by solar, wind, hydro and geothermal systems. On average, it takes about 4 to 6 hours to charge from empty to full. With the ability to “fuel up” at home, you’re always able to top up - just like plugging in your phone! or by installing a home charging station. A home charging station requires a 240V electrical outlet similar to a clothes dryer plug. Having a charging station cuts down on charging time (compared to charging from a wall outlet) and is easy to install by an electrician. Cost: $800 to $1,200 plus installation. 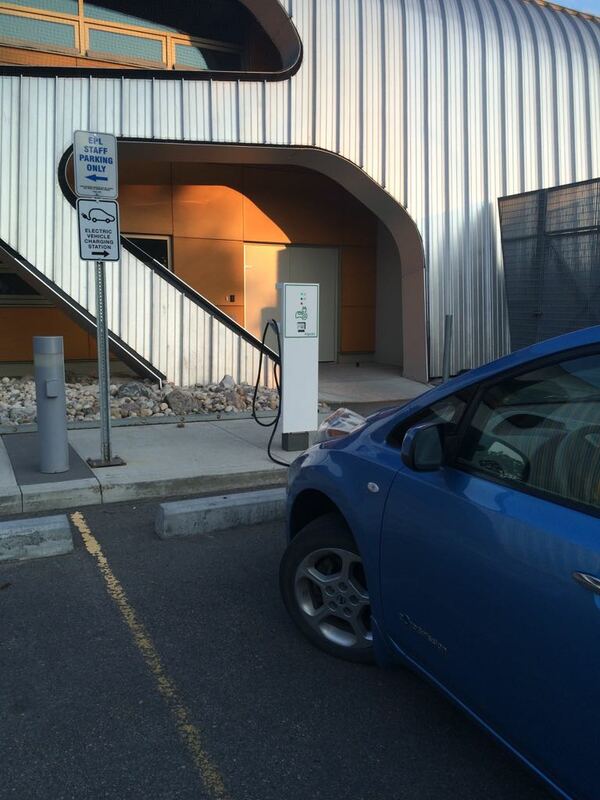 Edmonton has 13 locations that offer EV charging, the majority of which are free. Canada has 4,000+ stations at 3,000+ locations. Currently the City of Edmonton offers 4 free public charging stations located at Mill Woods Library and Jasper Place Library. ATCO, supported by the City of Edmonton, will be piloting curbside electric vehicle (EV) charging services for the public. The project will be the first of its kind in Alberta, providing EV charging opportunities for Edmontonians and visitors as well as an opportunity for people to see and experience how EV charging works. Drivers that use these stations will still pay applicable City parking fees and follow all posted parking restrictions. ATCO is assessing whether to apply a fee for using a charging station. Funding for this project is provided by ATCO with partial funding support from Natural Resources Canada. Visit atcoelectric.com/ev for more information about the project. EVs can handle Canadian winters. EVs are safe and effective in Edmonton winters. EV range can be reduced in cold weather but is still well within the average Edmonton trip distances. EVs reduce emissions - up to 33% fewer emissions than a gas car. EVs go the distance - 170+ km on a single charge. EVs are for everyone. 25+ models available in Canada at every price point, in all shapes and sizes (compact, full size, minivan, SUV). EVs save money. $1,900 annual savings on fuel and maintenance. It costs about $600 a year to “fuel” an EV versus $1,600 a year for a compact gasoline car. Electric vehicles are a relatively new idea for Edmontonians and understandably there are a lot of questions. Natural Resources Canada has recently developed a number of videos and fact sheets about fuel efficient vehicles including electric vehicles. Learn more by visiting the Natural Resources Canada links to get an introduction.